Shopping for a new Kia Sedona? Active safety tech we consider essential on a family vehicle is bundled in a costly option package on the 2019 Kia Sedona EX. The 2019 Kia Sedona is an old-school van that’s tardy when it comes to crash-avoidance tech. 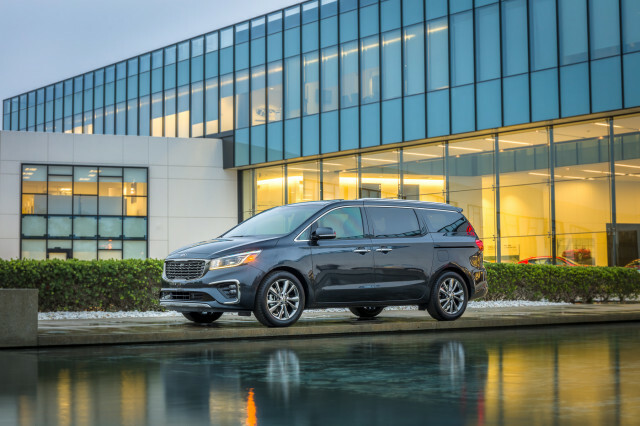 There’s nothing wrong with a minivan, the 2019 Kia Sedona pleads, as it watches shoppers pass it by in favor of crossover SUVs such as the automaker’s own Sorento and Telluride. We agree. 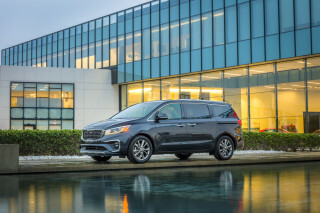 There’s nothing wrong with a minivan, and the 2019 Sedona is a solid bet with its spacious interior, soft ride, and pleasantly unadorned styling. 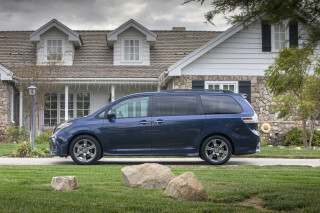 The Sedona minivan’s biggest demerit is one that’s hard to overlook in a family car, however. Collision-avoiding active safety tech we consider essential in any vehicle, especially one designed for the whole gang, is a costly option on the Kia van. For 2019, the Sedona has a modestly updated look outside, a new 8-speed automatic transmission underneath, and it’s available in L, LX, EX, and SX trim levels. We’ve not driven the latest Sedona, but we’ve spent time in other cars with this 276-horsepower 3.3-liter V-6 and have found it to be a smooth if thirsty operator and we doubt the new 8-speed automatic will change our opinion. The Sedona’s 21-mpg combined rating from the EPA is low among minivans. Previous Sedonas have had a soft, composed ride and handling that’s capable but far from entertaining. The Sedona’s interior is spacious, but it lacks the middle-seat versatility of the Chrysler Pacifica’s seats that fold into the floor. Base Sedona Ls seat seven, while Sedona LX and higher vans add a middle seat to the third row. Row three can be folded and stowed into the floor, but row two’s always in the way. Even when the available second-row middle seat is removed, it’ll take up valuable garage space. Last year’s divine first class-style second-row lounge seats were dropped for 2019. Starting at around $28,200, the 2019 Kia Sedona is inexpensive for a minivan. Base Sedona L vans come with a 7.0-inch touchscreen for infotainment with intuitive software complemented by standard Apple CarPlay and Android Auto compatibility. The Sedona EX delivers the best value in the range with its easy-clean leather seats, but Kia frustratingly walls off automatic emergency braking, a power liftgate, and a moonroof in an option package that bumps the van’s price to nearly $40,000. With the 2019 Sedona, Kia has a van that’s worth considering if crash-avoidance tech that’ll soon be standard on every car isn’t at the top of your priority list. Unfortunately, we can’t overlook that demerit, so we’d spend our money elsewhere. The 2019 Kia Sedona is inoffensive, even with this year’s facelift. The 2019 Kia Sedona wears new duds this year, but you’ll be hard-pressed to spot the differences. The Sedona has a simple, two-box shape that’s light on unnecessary flourishes compared to the swoopy Pacifica and the dramatic Odyssey. 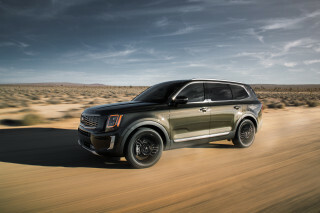 For some buyers, that’s reason enough to take home a Kia. This year’s changes include new head- and taillights and a revised grille. All versions ride on alloy wheels, which means that the cheapest Sedona doesn’t look like a cheap Sedona. Only the Sedona SX comes with LED headlights and LED fog lights, which add an upscale touch. Inside, the Sedona doesn’t try very hard. Its plain dashboard puts controls up high, where they’re easy enough to sort out while on the go. A 7.0-inch touchscreen for infotainment takes up residence on the dash in most versions, though the Sedona SX has an 8.0-inch display. The range-topping Sedona also includes two-tone upholstery to impress the rest of the kindergarten class when the power rear door is swung open on the first day of school. The 2019 Kia Sedona has a soft, composed ride, but its handling is more SUV than minivan. Base versions of the 2019 Kia Sedona glide over rough surfaces with luxury-grade cosseting that earns them a point above average. Unfortunately, we dial that back for tire-howling handling that’s not up to its more polished rivals from Honda and Chrysler. Underhood, the Sedona comes with a 3.3-liter V-6 rated at 276 horsepower that sends power to the front wheels via a new 8-speed automatic transmission. We’ve not driven a Sedona with this transmission yet, but we’ve liked it in the Kia Cadenza. When we get some wheel time, we’ll update this space with any impressions otherwise. 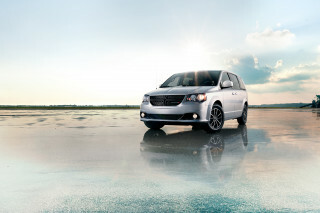 The V-6 works hard to overcome the Sedona’s 4,500-pound curb weight in most configurations. Around town, it’s fine, but the engine runs out of passing power at highway speeds. The Sedona’s best feature here is its ride, especially with the 17-inch alloy wheels standard on L and LX trims. The 18s fitted to the EX and SX are a touch stiffer, but not enough to disturb the peace inside. That soft suspension means that the Sedona leans into corners more than some drivers might expect, and its all-season tires will howl in protest if it’s hustled too fast. 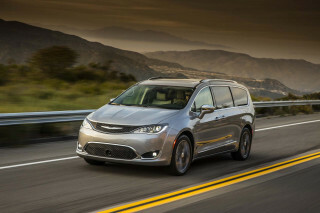 We don’t think a minivan needs to be track-ready, but the Pacifica and Odyssey have better steering and sharper responses without any detriment to ride quality. Though spacious, the 2019 Kia Sedona doesn’t pamper as well as some competitors. Where the 2019 Sedona misses out is in its so-so front seats and its limited cargo and passenger flexibility compared to rivals. Up front, the Sedona’s driver’s seat is manual on the base L and eight-way power adjustable on higher trims. The standard cloth upholstery is fine, but the leather on EX and SX trim will be easier to clean up after a juice box spill. Row two features a pair of captain’s chairs on all trims and a removable middle seat on LX and higher trims that boosts seating capacity from seven to eight. Last year’s available reclining second-row lounge chairs are gone, unfortunately. The Sedona’s third row is easy enough to access with the second row pushed forward. Row three’s not as spacious as some rivals, although it easily folds into the floor when not needed. We wish the second row had the same flexibility. The outboard seatbacks can be folded flat and then tilted forward, but they don’t flop into the floor like those in the Pacifica do. The available middle seat folds flat to create an armrest with cupholders or it can be removed. The Sedona can swallow a 4-by-8 sheet of plywood, but it has to be loaded at an angle over the tipped-forward second row. With every seat removed or tucked out of the way, the Sedona can swallow 142 cubic feet of cargo. Keep the second row upright and that figure drops to 78.4 cubes. Behind the third row, the Sedona has a still-respectable 33.9 cubic feet. The 2019 Kia Sedona has good crash-test scores but it’s stingy about active safety gear. We’re disappointed in the 2019 Kia Sedona when it comes to its safety record. Its decent crash-test scores are undermined by active safety tech that’s frustratingly expensive. The NHTSA rated the 2019 Sedona at five stars overall, including four stars in the calculated rollover test. The IIHS gave the Sedona “Good” scores in all but the passenger-side small-overlap test, which simulates impact with an oncoming car or a utility pole. In that test, it earned “Acceptable.” However, “Poor” headlights kept it from earning a Top Safety Pick award. To get the safest Sedona, buyers will be looking at a nearly $40,000 price tag. Blind-spot monitors and rear cross-traffic alerts come on EX and higher trims. Active safety tech including forward-collision warnings, automatic emergency braking with pedestrian detection, lane-departure warnings, and adaptive cruise control are bundled in a $4,800 option package on the Sedona EX and they’re standard on the costly Sedona SX. None of that gear is available on the more palatable L and LX trims. A trimmed-back lineup this year means the 2019 Kia Sedona is no longer the value it once was. The 2019 Kia Sedona lineup stretches a relatively wide span from about $28,200 for the base Sedona L up to about $42,100 with every box ticked. The base Sedona L has manual seats, power features, alloy wheels, a 7.0-inch touchscreen for infotainment with Apple CarPlay and Android Auto compatibility, a single USB port, and Bluetooth connectivity. That doesn’t sound bad, but some cost-cutting is evident in its mediocre four-speaker audio system and its nonexistent active safety tech, so we dial a point back. If the least costly Sedona is your end goal, you’ll want to stick with silver. The only other shades available on the Sedona L—black and white—cost $395 more. The $31,000 Sedona LX adds a middle seat in the third row, bringing total capacity to eight, as well as a power driver’s seat, power sliding doors, tinted windows, and two more speakers. We’d bypass that model and go for the $34,300 Sedona EX with its upsized wheels, roof rails, leather upholstery, heated front seats, and extra USB ports. Active safety tech is bundled with a power moonroof, power liftgate, three-zone automatic climate control, and a bunch of smaller features for a hefty $4,800. Honda charges about $1,000 less for an equivalent Odyssey EX-L, although the Sedona is usually discounted more. That’s where we’d stop—unless the allure of the $42,100 Sedona SX’s Harman Kardon speakers and cooled front seats is too hard to resist. The 2019 Kia Sedona is a thirsty minivan. The 2019 Kia Sedona has a new transmission this year, but we’re not sure it was worth the effort. At 18 mpg city, 24 highway, 21 combined, it’s only marginally thriftier than last year’s model. Nearly every rival bests those figures. 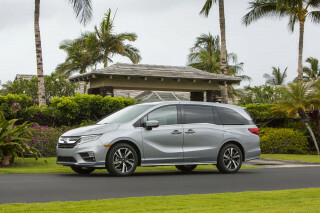 Popular versions of the Honda Odyssey and Chrysler Pacifica are rated at 28 mpg on the highway, which means less stopping for gas on highway trips.